The Irish new car market continues on its break-neck growth: after gaining 47% last month, it is up a further 31% in August to 6.405 registrations, lifting the year-to-date total to 116.331 units, up an equally impressive 30% on the same period a year ago. Knocked down to 2nd place in July, Volkswagen reclaims the brand pole position it also holds year-to-date thanks to sales up 37% to 812 and 12.7% share, above Toyota up a gigantic 88% year-on-year and Nissan up 78%. Ford (+36%) and Skoda (+39%) complete the Top 5 all the while Opel (+106%), Citroen (+69%), Mazda (+49%) and Suzuki (+189%) take off. 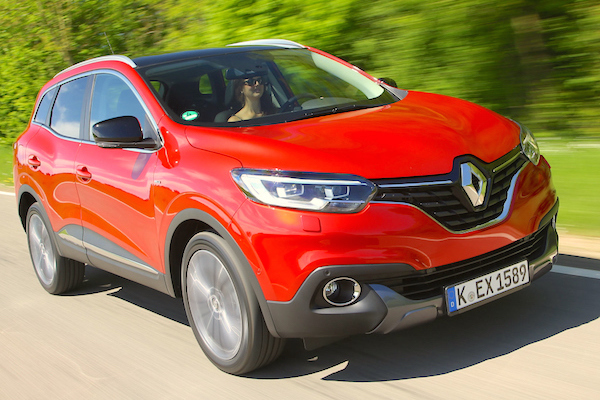 The Renault Kadjar ranks #27 in Ireland this month. 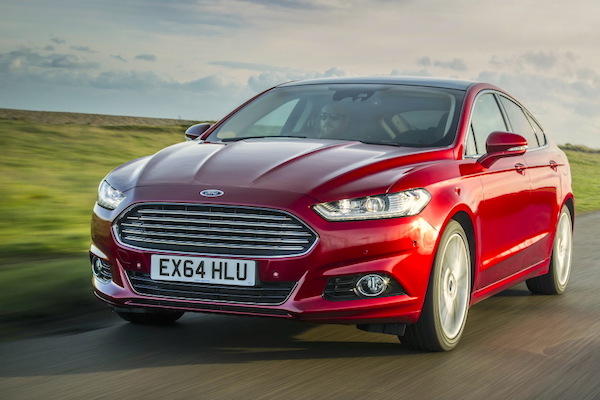 Model-wise, the VW Golf (+74%) remains sovereign, followed by the Skoda Octavia (+49%) while the Ford Mondeo shoots up 14 spots on July and 10-fold on August 2014 to land on the third step of the podium with 254 sales and 4% share. Other great August performers include the Nissan Qashqai (+88%), VW Passat (+100%), Opel Insignia (+86%), Dacia Sandero (+226%), Toyota Auris (+121%) and Nissan Micra (+144%), with the entire Top 12 best-sellers outperforming the market… The Suzuki Vitara (#26) and Renault Kadjar (#27) break into the Irish Top 50 for the first time. One year ago: Ireland August 2014: Dacia Duster takes the lead! Full August 2015 Top 32 All-brands and Top 50 models below.